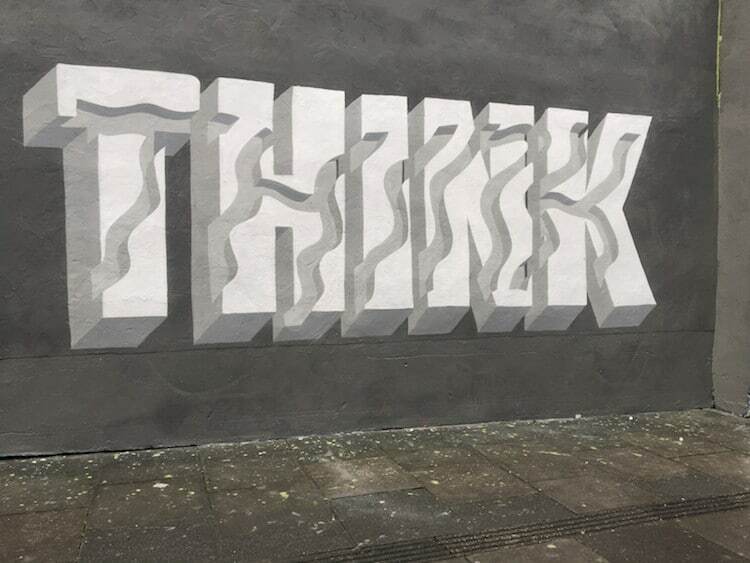 British street artist Peter Preffington aka Pref plays with perception through his multi-layered, 3D graffiti. 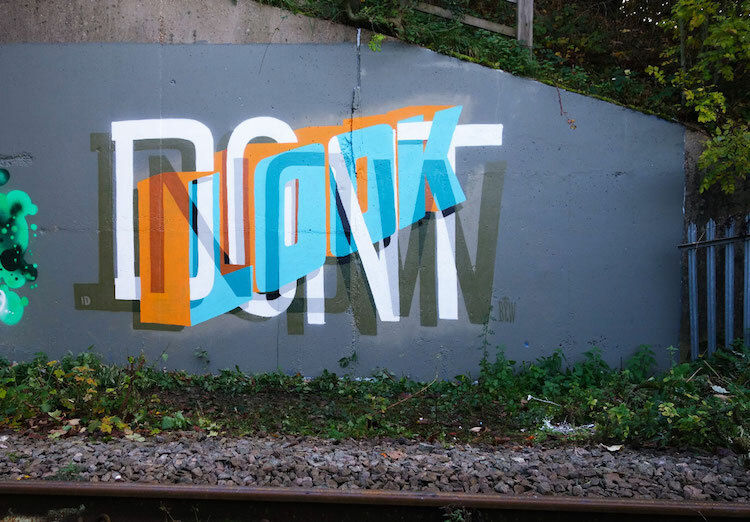 Using a range of modern and traditional typefaces, he visualizes popular sayings and expressions in his distinct overlapping style. 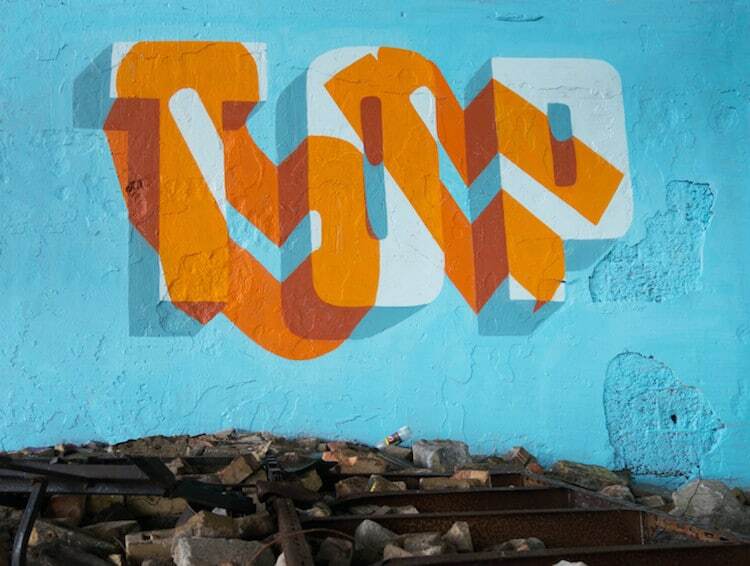 While these typography murals might seem difficult to decipher at first, it’s this unique style that helps draw the viewer in. 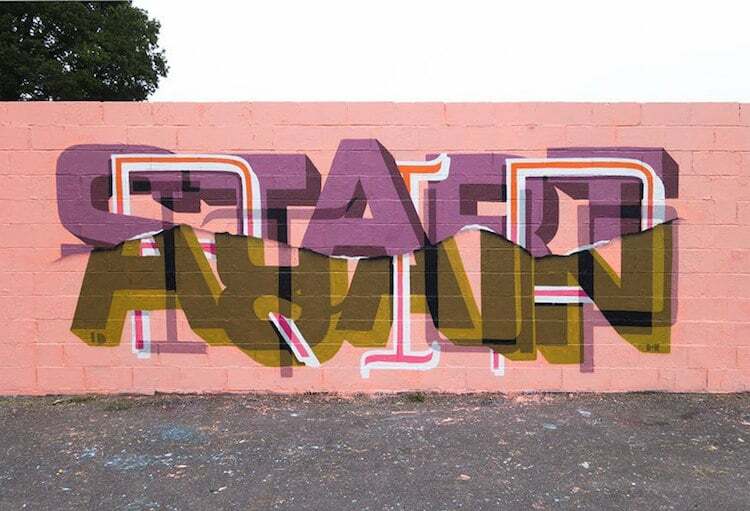 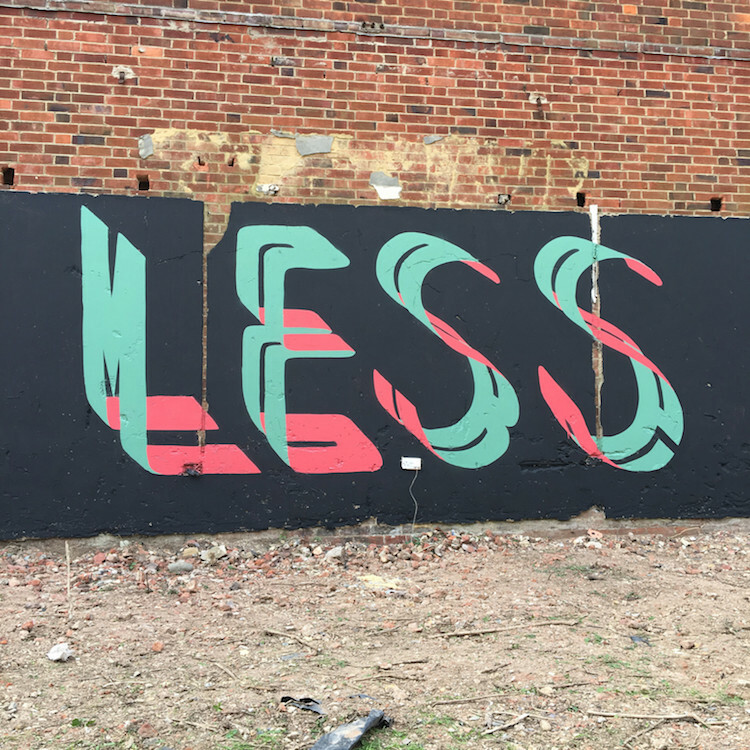 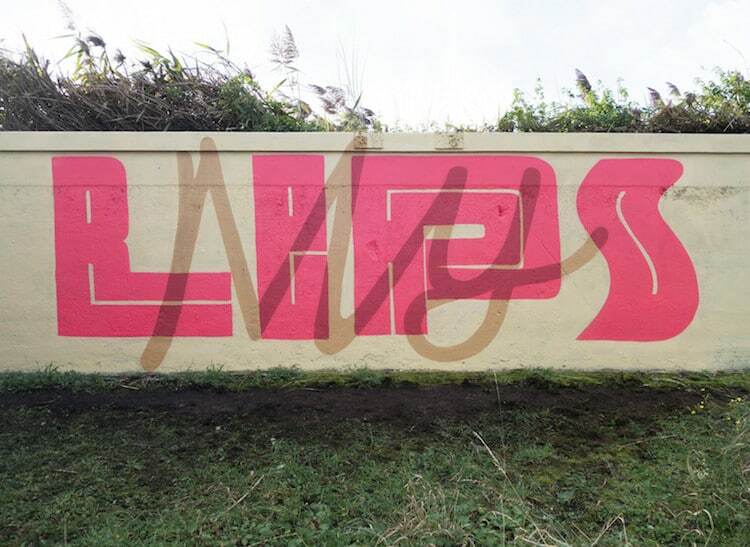 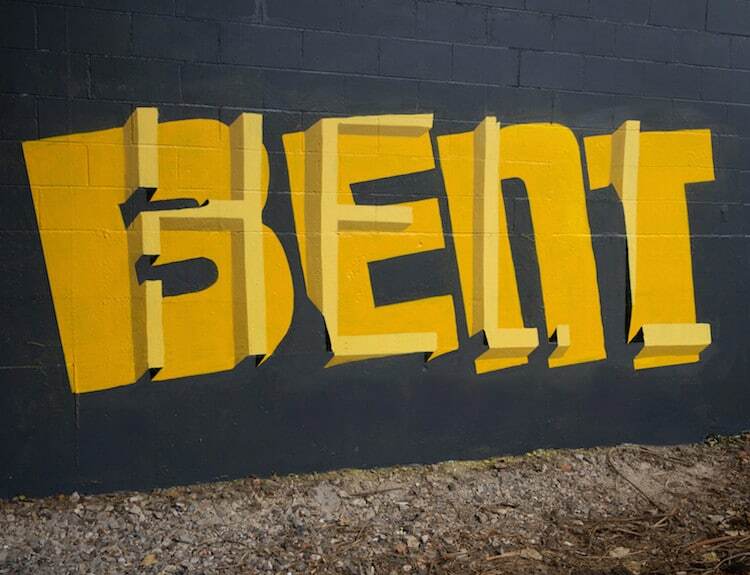 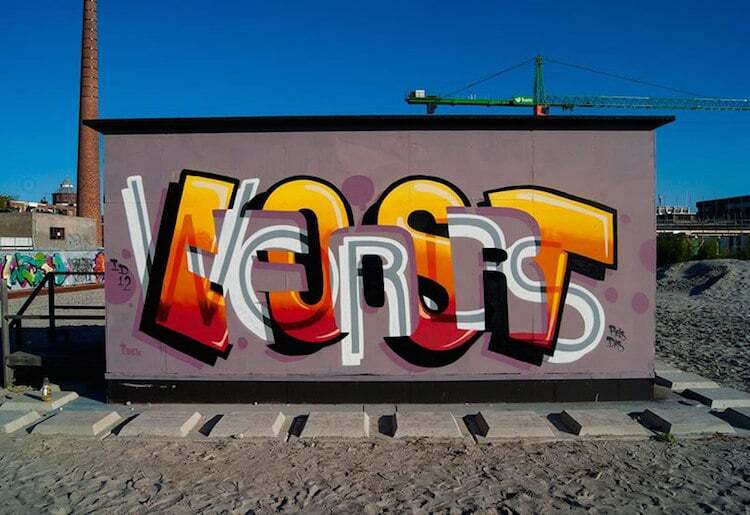 In one particular head-twisting work, Pref paints the words “more” and “less” as a three-dimensional, interconnected word. 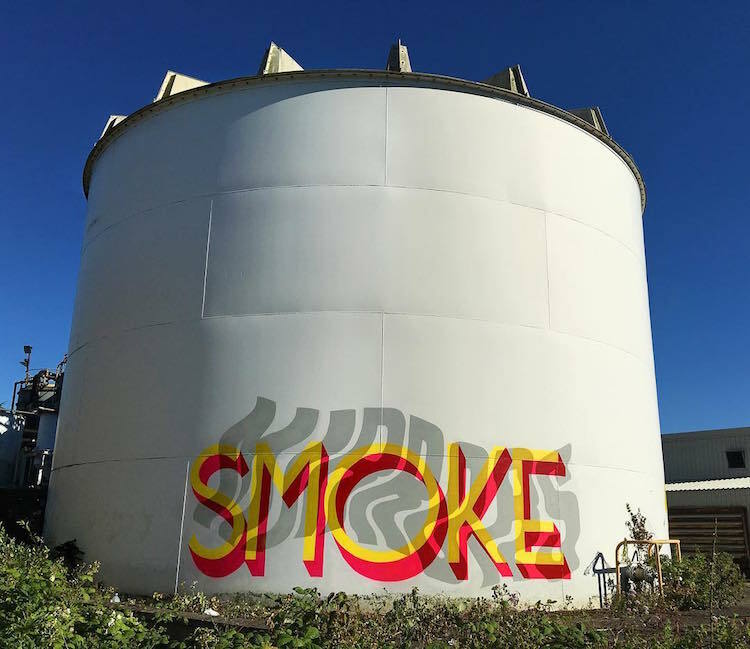 Depending on your perspective, the words shift into the other, subtly playing on the phrases “more or less” and “less is more.” For the phrase “smoke and mirrors”, the word “smoke” is written in 3D red and yellow letters, while the font for the word “mirrors” appear as a superimposed smoky vapor. 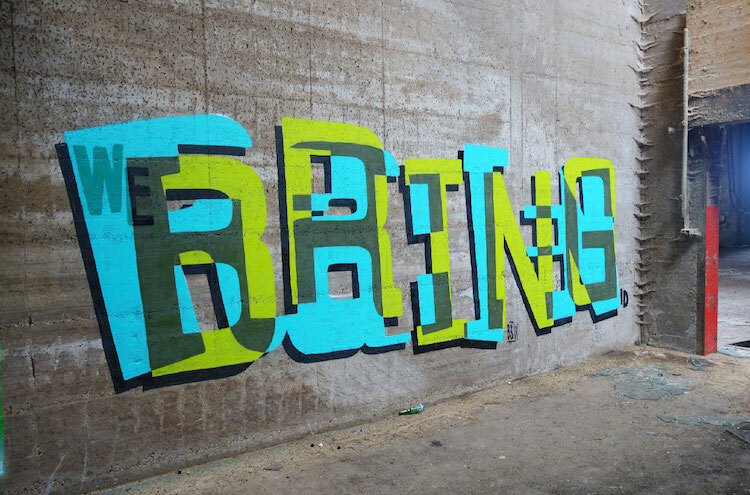 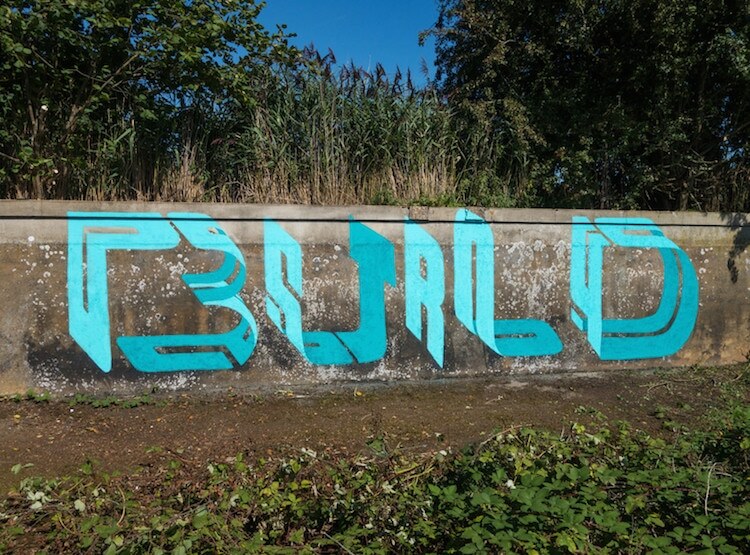 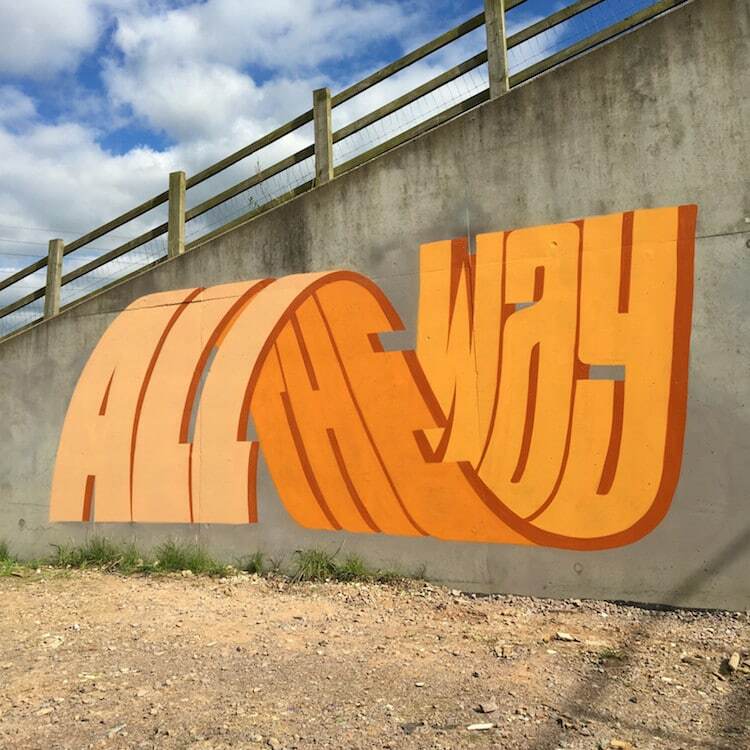 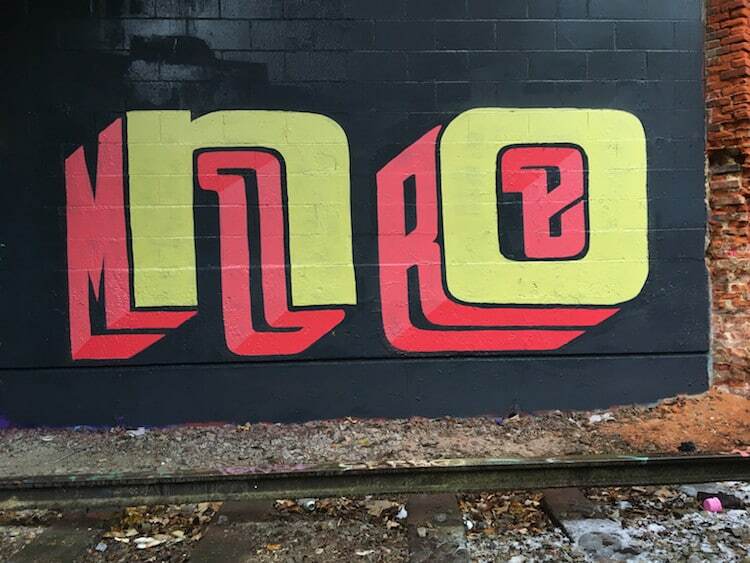 Pref has recently partnered with fellow street artist Gary Stranger to launch a collective called Typograffic Circle. 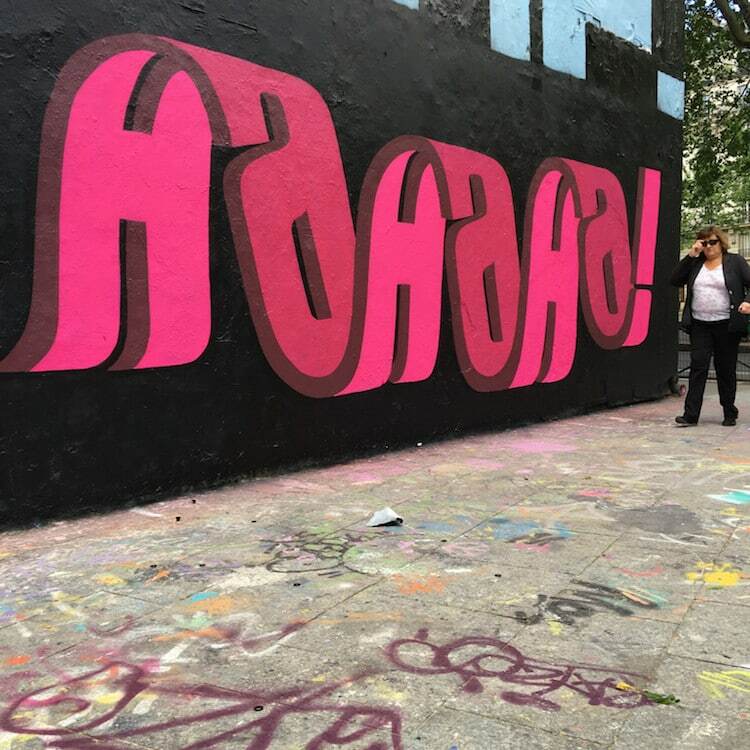 If you’d like to see their work in person, their first group show is on display now through June 3, 2018 at London’s StolenSpace. 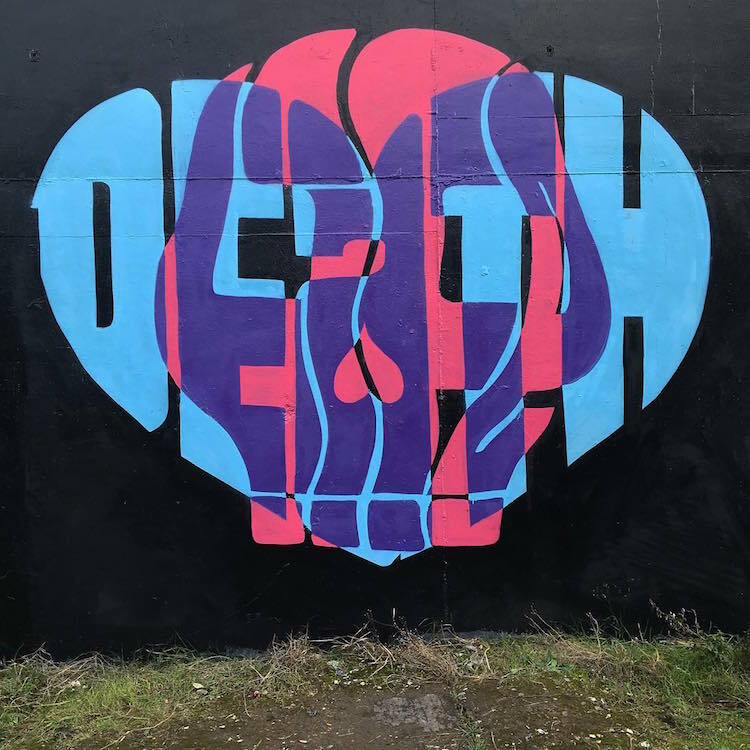 You can see more of Pref’s incredible street art on Instagram and buy select prints through his online shop. 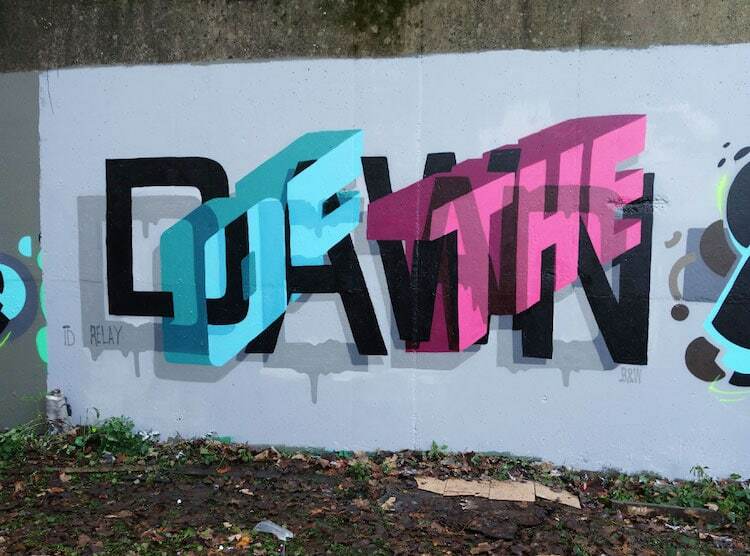 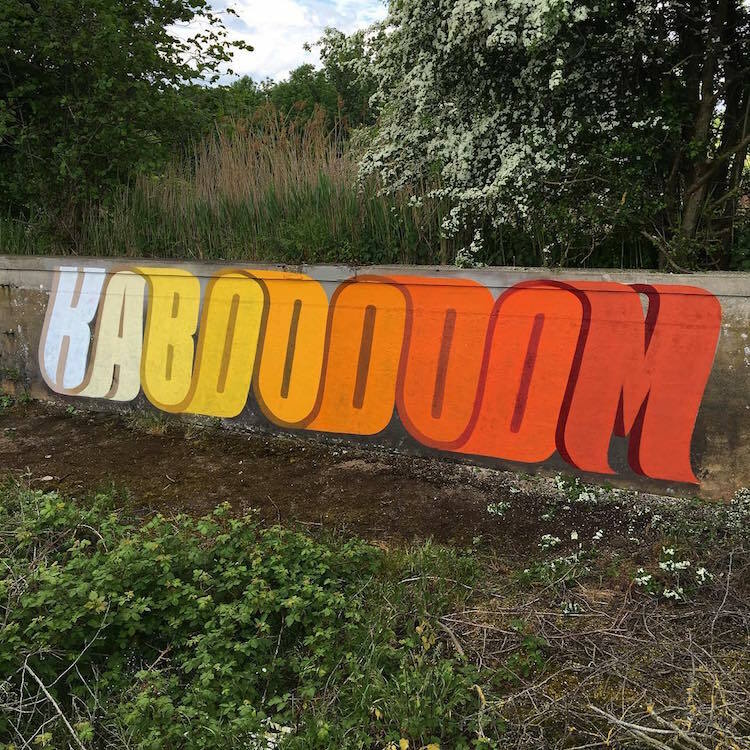 British street artist Peter Preffington aka Pref plays with perception with his multi-layered, 3D graffiti. 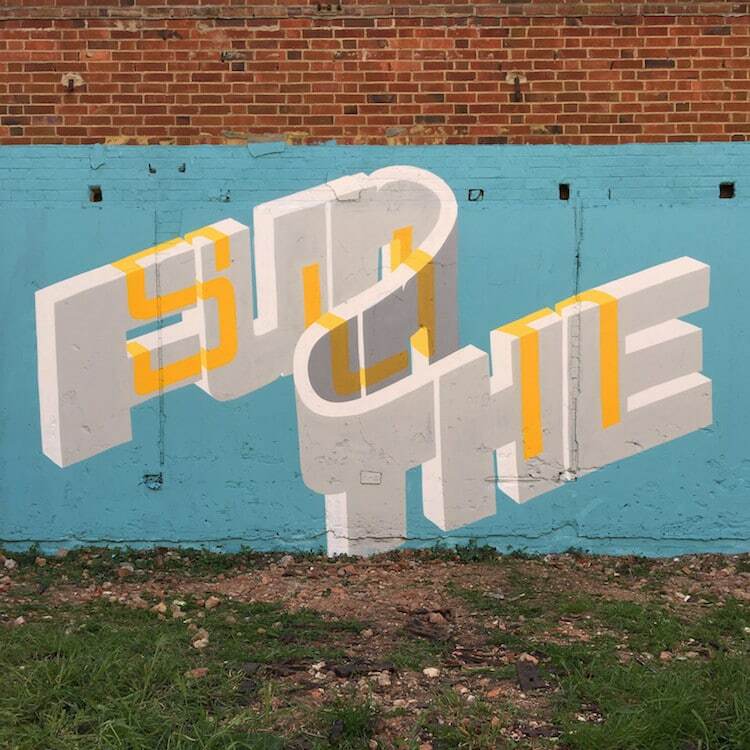 Using traditional letter forms and font styles, the artist visualizes popular sayings and expressions in his distinct overlap style. 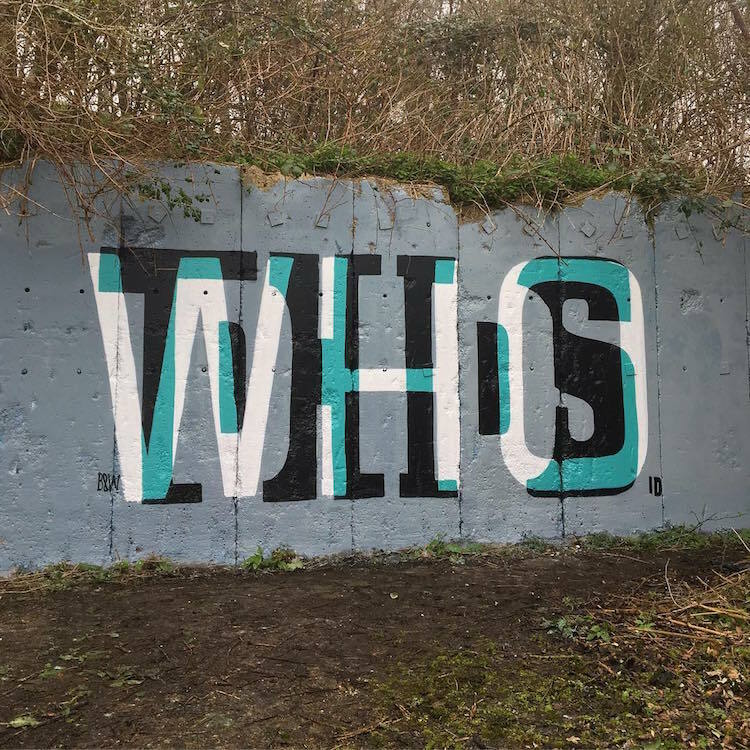 Each of his colorful murals invite the viewer to stop and take a closer look, squint, and tilt their heads to try and figure out the puzzle.